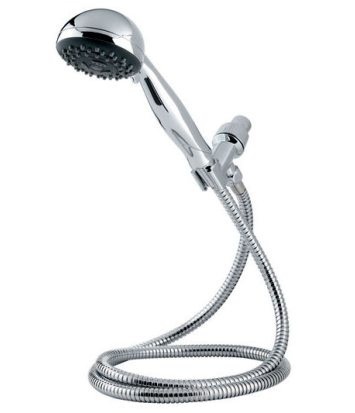 According to Price Pfister, their Typhoon Handheld Shower is truly a force of nature. This powerful handheld shower has been created to provide invigorating and therapeutic shower experience. 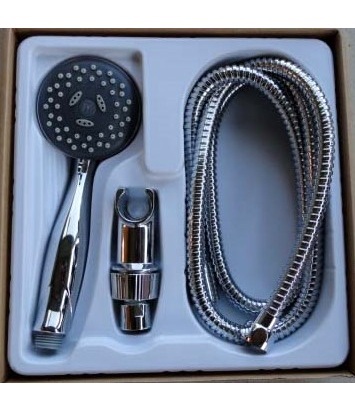 The Price Pfister Typhoon Handheld Shower installs easily, in under 5 minutes of your time, and provides an instant ungrade to any shower. The Price Pfister Typhoon was designed with three highly customizable spray settings. 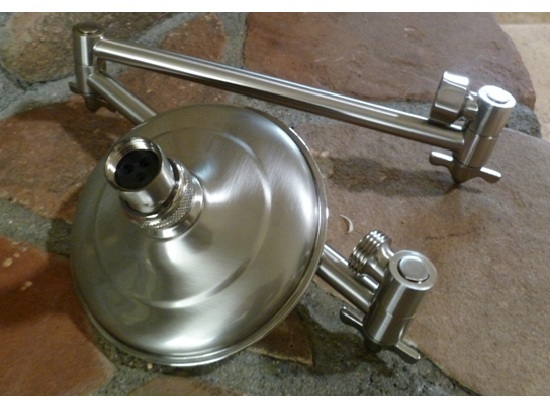 This shower set comes complete with a 3 function massage handle, a 60"mylar hose and shower pipe mounting bracket (see pics above) all in a high polished chrome finish. Features non clog nozzles and an anti-kink hose. Also comes with a Price Pfister warranty.